Since moving to Little Rock one of our favorite things for John and me to do is bike. There are amazing bicycle trails and beautiful scenery. We biked often when Alyssa was little. She loved riding along on the back of Daddy’s bike. Then, just last month, our little neighbor Presley learned to ride her bike. Not wanting to be outdone, Bella (six) learned to ride without training wheels the next day. Not wanting to be outdone, Casey (three) learned to ride the day after that. Not wanting to be outdone (do you see the pattern? ), Alyssa (four) learned to ride without training wheels. She’s the most timid of the group, and it took her a week. But amazingly in the course of three weeks, we had three kids who were able to ride the bike trail with us! The only problem was they needed help to “start.” The couldn’t figure out how to push off without falling. So Daddy gave them some incentive. We took them to one of our favorite bike trails to walk around. “Once you learn to start by yourselves, we’ll bring you back here to ride,” he told them. The kids practiced and it took a few weeks for them to get they hang of it, but they were soon starting on their own. So the next Saturday we headed off to the bike trail. I love the smug look on Alyssa’s face as we prepared to head off. She felt so big! It was so fun seeing them ride alongside Daddy. We only had a few instances where Casey rode off the trail—mostly because he was watching the other bikers who passed us instead of watching the trail! Here is a photo of the happy kids! It’s amazing how they turned into bikers overnight! For our family, biking is our favorite way to exercise. I asked some of my friends for their ideas for fun ways to exercise, too. Here are their ideas! What about you? 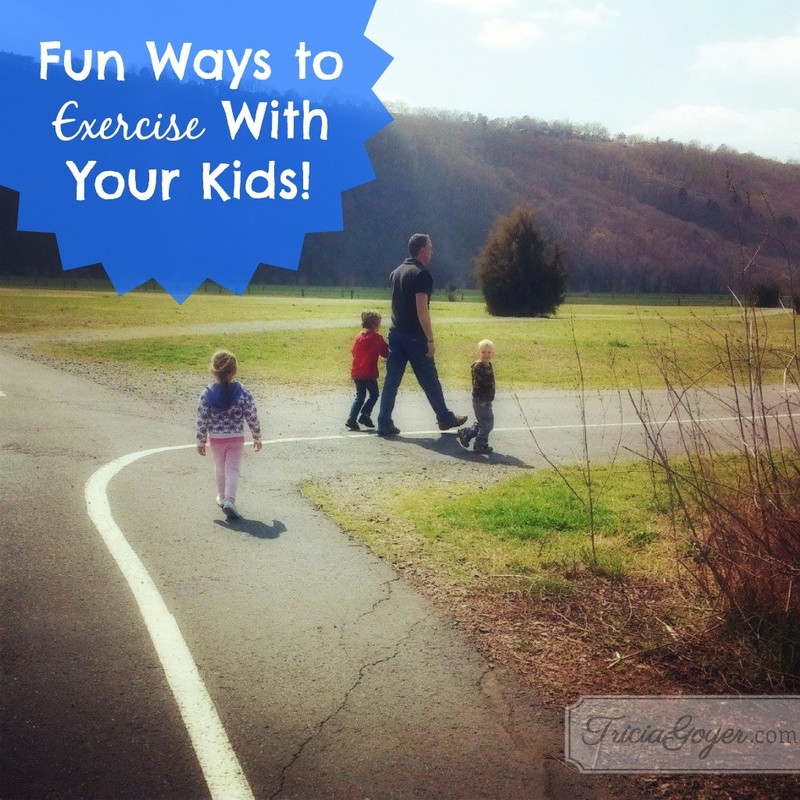 What is your favorite way to exercise with kids? Aw, I love these sweet pictures. Looks fun! We love sports at my house, so I am always out practicing with the kids. We enjoy taking walks also! A group of young parents in our little town have turned the city park’s walking track into a workout center on Monday, Wednesday and Friday evenings for an hour. They bring hand weights, stretch bands, workout mats for stations that are posted around the track. They walk and jog, then do the cross-training exercises at the stations. Many of the kids are doing the exercise, too, and others simply play on the play equipment. The group is growing quickly into 20-30 adults, plus bunches of kids. once you’ve a great likeness in pencil, there are many steps you must do. I love to begin with the “white” of this attention first.